If you make organic cosmetic formulations, then sometimes you might use waxes in your products. Beeswax is probably one of the oldest and most natural ingredients used in cosmetics and is often the first wax that most formulators go to when making balms. However, if you want to avoid beeswax then you might look for vegan waxes instead. 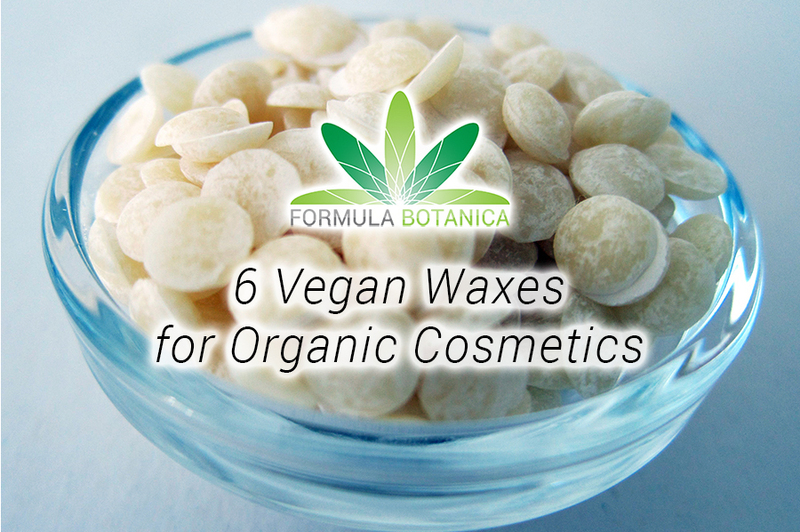 In this blog post we’re going to introduce you to 6 vegan waxes and look at how they compare. Beeswax has been used for thousands of years in balms and potions. There is even a cosmetic myth about it being used for natural emulsification but as we saw in one of our recent blog posts, beeswax is not an emulsifier. Beeswax imparts a lovely colour to the product and although its skin feel is not always lovely, it is possible to prepare light and silky cosmetic formulations with it. But with the increasing demand for vegan cosmetics, many formulators are switching from beeswax to possible vegan alternatives. In this blog post we’re going to introduce some of these alternatives to you. Natural waxes belong to the bigger group of lipids. They are a blend of hydrocarbons and fatty esters (an ester of a fatty alcohol and a fatty acid). These vegan waxes are derived from leaves, peels and fruits of different plants or are separated from plant oils by de-waxing. This process involves physical separation and no chemical reactions are involved. After separation,vegan waxes are usually purified, deodorized (these are still physical procedures with no chemical reactions involved) and sometimes bleached (this might be a chemical reaction). Waxes are usually available in different grades according to their colour, melting point range, physical form. They are also often available in different purities for different applications, such as industrial, food, cosmetics or pharmaceutical applications. 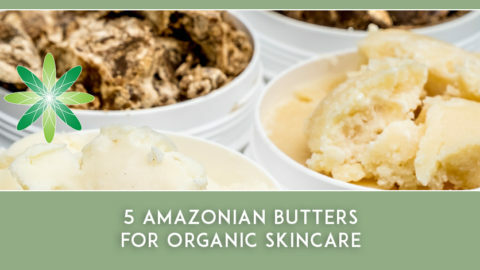 Because these ingredients are derived or extracted from a plant or a plant oil, they are true waxes. Their INCI (International Nomenclature of Cosmetic Ingredients) name leaves no doubt about it. Cera or wax is a part of the INCI name – examples include Oryza Sativa Cera and Oryza Sativa Bran Wax, which are the INCI names for rice bran wax. In this blog post we’re going to introduce to these real waxes. But first it’s important to understand what isn’t a real wax. As a formulator, you will probably feel quite excited when you hear these ingredient names. 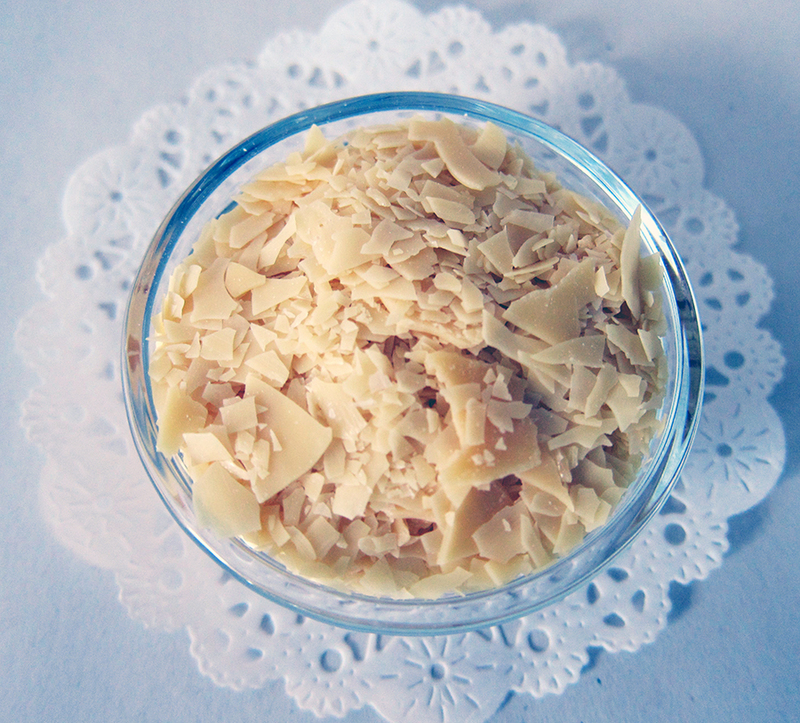 The concept of formulating with jasmine flower wax will be extremely appealing to many organic cosmetic formulators. But these ingredients are not true waxes. In fact, we call them pseudo-waxes. These pseudo-waxes are usually very dark coloured and extremely expensive. These are actually the by-products and waste from the production of floral absolutes. After all the good stuff is extracted, the rest is once more extracted with alcohol (and most likely other solvents) and then water. The product that remains is sold as floral wax. Hydrogenated oils are sometimes also sold as plant-based and vegan waxes. However, these ingredients are not waxes at all. You can also see that they don’t contain the words “cera” or “wax” in their INCI name. Hydrogenation is a chemical reaction (usually carried on over Nickel or Cadmium catalysts). The goal is to increase the melting point of the oil (solidify the liquid oil) and to increase its shelf life. 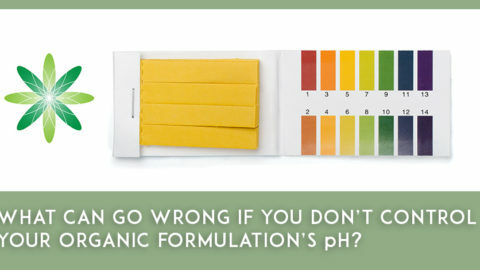 The oils are usually refined which means that they are stripped of their unsaponifiables (the good stuff in your oils!) before they undergo hydrogenation. 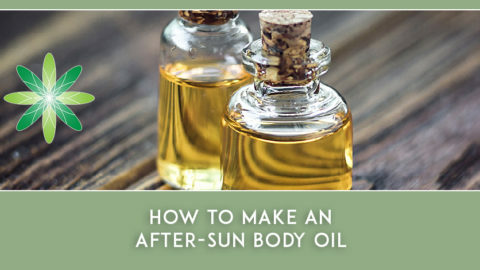 It can even become more complicated when certain suppliers sell blends of some plant oils with hydrogenated vegetable oil (shortenings) as plant-based or vegan waxes. It is even possible that one of your suppliers sells a product under the trade name of rice bran wax (this wax really exists) but when you have a closer look at the INCI name it is in reality a blend of vegetable shortening and rice bran oil. This is why we always emphasize that you check the full INCI name of the product to avoid any confusion and disappointment. There is nothing wrong with using any of these pseudo-waxes in your products. 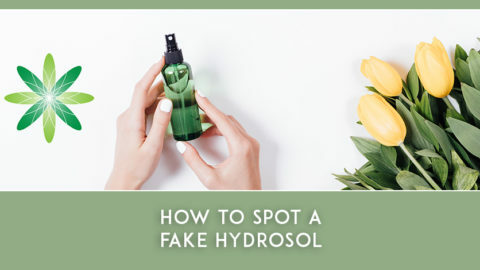 You should however be aware that you’re paying a much higher price than they are really worth and that these ingredients are not true waxes (esters of fatty alcohols). These are hardened vegetable oils sold as precious vegan waxes – and it’s not even always clear which vegetable oils have been used in the process. You are free to use any of these pseudo-waxes in your products but you should always try to first receive the full INCI name of the ingredient from the supplier so you know exactly what you are working with. Now that you know which ingredients are not real waxes, let’s talk about real plant waxes for vegan cosmetics. 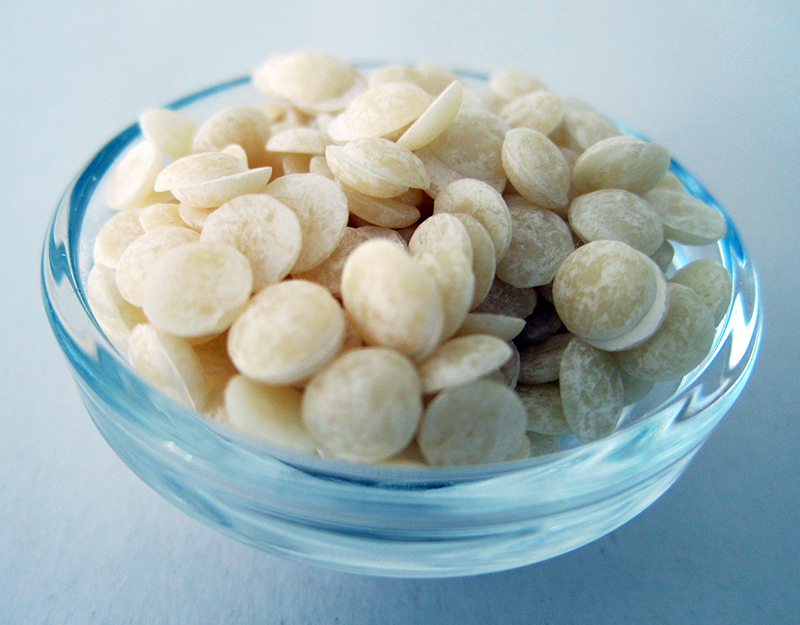 Carnauba wax is derived from the leaves of a the Brazilian palm known as Copernicia cerifera (wax making). The wax is a kind of leaf exudate to prevent the leaves from dehydration. It is available from very dark intensive yellow to light beige colour and is available as flakes, pellets or powder. It is a high melting point and hard wax. Carnauba wax imparts hardness and reduces stickiness in cosmetic formulations. It is applied in mascara as a volumizing agent. In hair styling products, carnauba wax imparts hold. In water-in-oil emulsions, it is used as a stabilizer and viscosity modifier. Carnauba’s content of hydrocarbons is rather low (compare its saponification value and acid value with candelilla wax) and its main components are fatty esters. 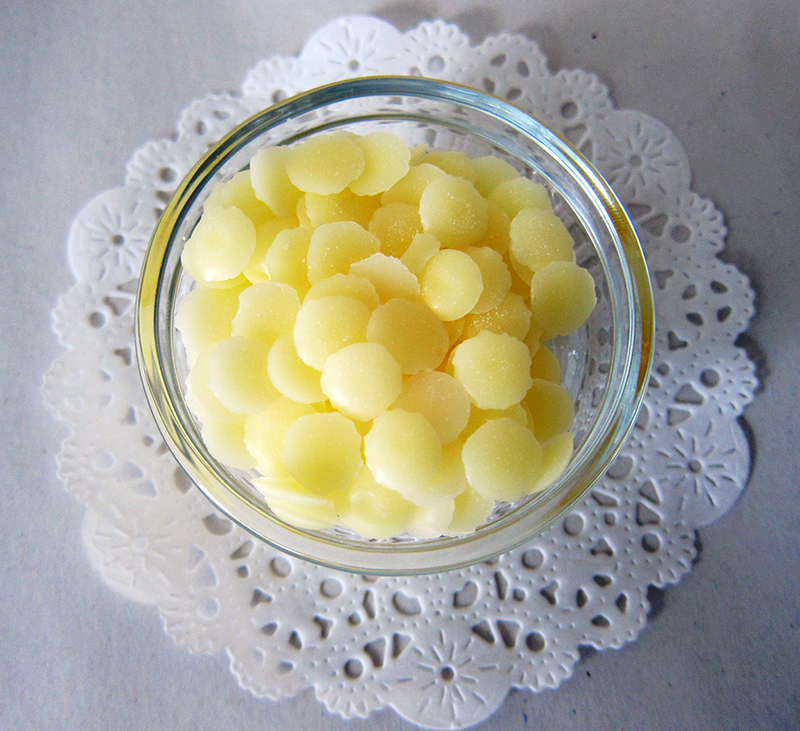 Candelilla wax is probably the most frequently used wax when formulators look for a beeswax substitute. It is derived from the leaves of the Mexican shrub Euphorbia antisyphilitica. The unrefined wax has a deep yellow colour and a very decent scent. It is available in bleached variations with lighter colour as well. 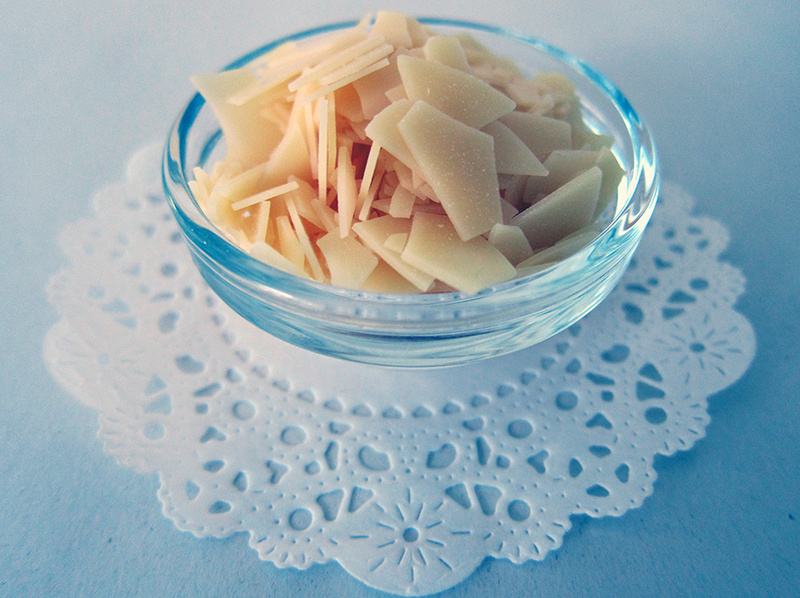 Candelilla wax has a high oil binding capacity and is less sticky than beeswax. It is used to adjust viscosity in water-in-oil emulsions. It imparts gloss and hardness in cosmetic products such as hair wax and lipstick. 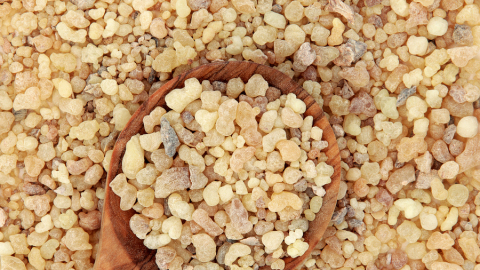 Candelilla contains up to 45% hydrocarbons and only some 20-30% fatty esters. Berry wax is a soft wax with a light colour. It is extracted from the berries of Rhus verniciflua. The tree is called varnish tree or lacquer tree because the stem exudate is used in production of Japan Lacquer. 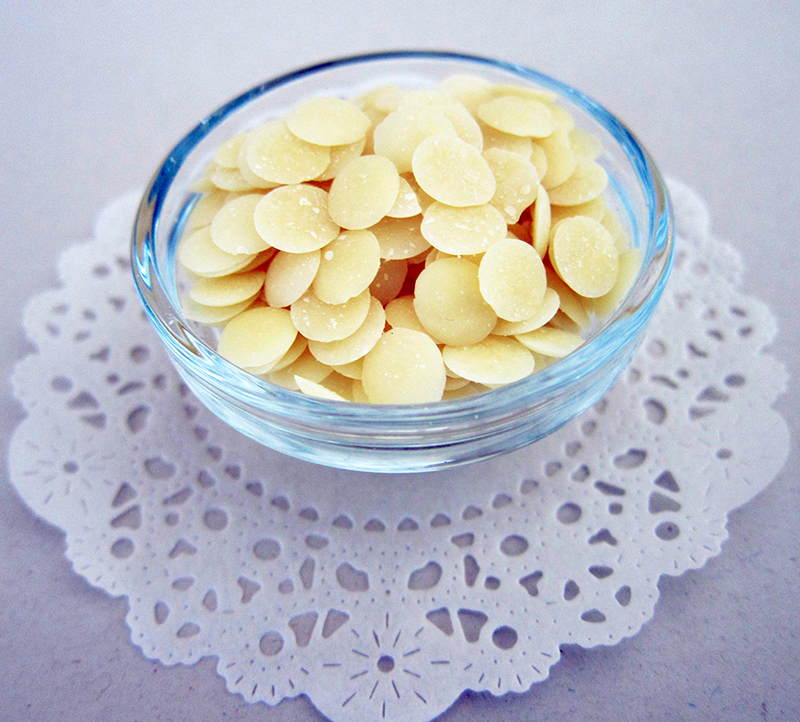 Berry wax has a high ester content and consists mainly of esters of palmitic acid, stearic acid and a unique C21 fatty acid: heneicosylic acid. Because of its softness and low melting point it is not suitable for stick formulations (as a stand-alone wax). Its main applications are in pencil production or emulsion stabilization as well as in balms. 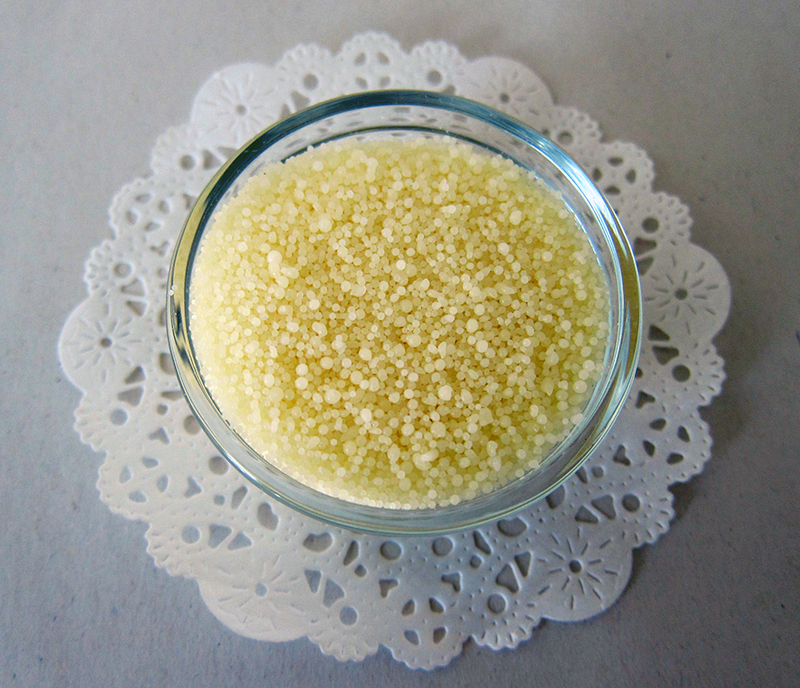 Myrica fruit wax is obtained from bayberries. It has a pale colour and a pleasant scent. Myrica fruit wax imparts a very nice skin feel to balm, butters and hair styling products. It doesn’t contribute much to hardness and mainly adds texture and body (without greasiness) and emulsion stabilization to cosmetic products. Since it has a low melting point, it solidifies very slowly and this leads to a very nice and smooth texture of the products made with myrica wax. 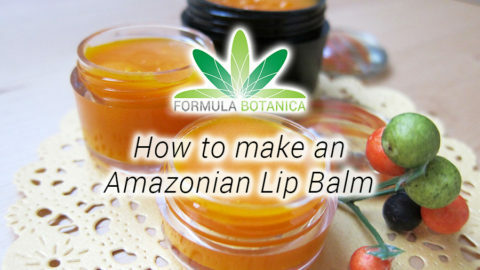 It is capable of making lip balms in a tube or even some stick products such as a facial balm but is not hard enough to be used as the stand-alone wax for lipsticks. Rice bran wax is obtained by dewaxing of virgin rice bran oil. It is a pale yellow hard wax available in pellets, beads and powder. 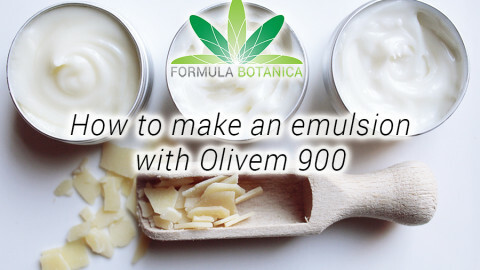 It has a nice non-sticky skin feel in emulsions, balms and butters. One of its specific applications is in lipsticks to inhibit syneresis. Sunflower wax is obtained by dewaxing sunflower oil. It has a pale yellow colour and is available as beads, chunks or pellets. Sunflower wax has a high oil binding capacity and a non-sticky skin feel. It imparts gloss to formulations and stabilizes water-in-oil emulsions. This wax contains approximately 30% hydrocarbons and 70% fatty esters. Behenyl acetate, lignoceryl acetate and methyl lignocerate are the main wax esters. In this table we’ve summarised the main features of each wax so that you can compare and contrast. Don’t be scared to experiment with new vegan waxes – one of the most fun parts of being an organic cosmetic formulator is trialling new ingredients in your artisan lab! When it comes to choosing the right vegan waxes for your formulation, there are a number of characteristics to consider. Firstly, you should consider the hardness of the wax. The higher the melting point of a wax, the harder the finished product. If you’re making a stick formulation, you’ll need a wax with a high melting point. If you’re preparing formulations for a tropical climate, you’ll need a wax with a higher melting point. If you’re preparing a soft hand & body balm on the other hand, you’ll need a wax with a low melting point. All waxes have their upsides and drawbacks. The choice depends on your product concept and can vary from product to product and from application to application. When you replace a wax with another, the most important factor you’re looking for is the difference between melting points. Beeswax for example has a melting point of 61-65 oC. Obviously if you’re going to replace beeswax with a wax with a melting range of 80-85 oC, you’ll need lower concentrations of the wax. On the other hand, if you’re going to replace beeswax with a wax with a lower melting point wax then you’ll need higher concentrations of this substitute wax. The balance between hardness (melting point), spreadability and skin feel should be adjusted by trial and error and according to the climate the product is going to be marketed, the packaging and the product concept. This is a rich foot balm with a very silky and a non-greasy texture. Allantoin is an anti-inflammatory and moisturizing ingredient that, when blended with rose clay, pampers even the hardest and worst callus. 2. When phase A is completely molten, remove it from the bath and add the ingredients in phase B. Stir the blend as it cools down. You can either cool down in an ice bath while stirring or put the beaker in the fridge and stir it every 10 minutes. Stirring during the cool down process avoids the dreaded graininess, which is a challenge when making balms and butters (particularly when using Shea butter). 3. As the blend reaches a trace (you can make a remaining trace with your spatula in the cooling balm), add ingredients of phase C and blend completely to disperse the powders. 4. Continue cooling down and stirring until the balm reaches a thick trace (almost half solid). Now start whipping the blend with a suitable electrical whisk. You may need to put the beaker in the fridge for short intervals in-between whipping sessions. 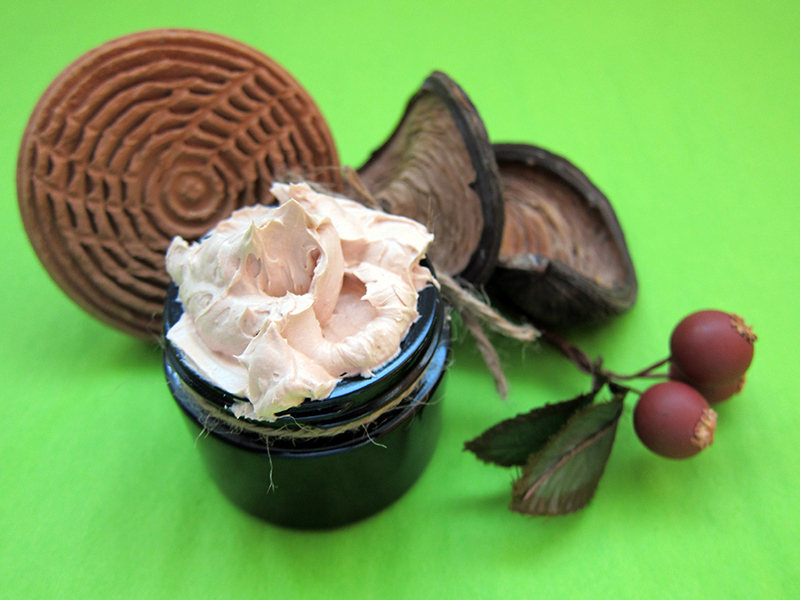 The colour of the balm will become milder and smoother by whipping. 5. When you reach the desired consistency, fill the balm in suitable containers and put it in the fridge for 24 hours. We hope we have inspired you to try out lots of new vegan waxes. If you want to learn how to formulate vegan cosmetics, we teach an entire module on vegan cosmetic formulation in our Advanced Diploma in Organic Cosmetic Science. Which vegan wax do you most want to try for your formulations? Leave us a comment below and let us know!